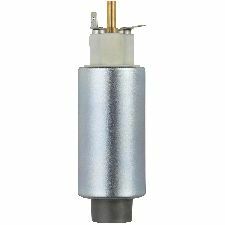 Showing 1 - 3 of 3 Products for Electric Fuel Pump. 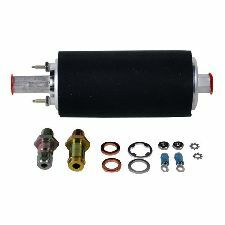 Externally Mounted; 2 Fuel Pumps May Be Required; 1 Mounted In-Tank & 1 Externally Mounted Delphi is an OEM supplier Fuel tank contamination is the leading cause of premature fuel pump failure. To reduce risk of contaminating the replacement pump, Delphi recommends cleaning the fuel tank before installing a new pump. Use of fuel tank cleaning kit FC01 is recommended. California Proposition 65: Warning: This Product Can Expose You To Chemicals Including Lead, Which Is Known To The State Of California To Cause Cancer And Birth Defects Or Reproductive Harm. For More Information Go To Www.p65warnings.ca.gov. 100 years of OE experience, supplier to the world's top automakers, OE Heritage and knowledge built into every aftermarket part, comprehensive portfolio for a wide range of vehicles and model years.